Japan enjoys an unparalleled history of exquisite wood culture. The allure of her sacred woodcraft creations are characterized by their perfectly straight grain and ivory-white color, the absence of any knots, the use of meticulous joinery rather than metal nails, and their lustrous natural finish. These are the distinguishing hallmarks of Japan’s temple and shrine architecture as well as her religious implements and tools used in refined practices such as the tea ceremony. There are several varieties of Precious wood, including the Japanese Cypress. These Champagne coolers made of these sacred materials and superb joinery techniques, also exemplify Japan’s unique regard for wood’s sensuous beauty and meticulous artistic craftsmanship. Born of Japan’s ancient woodcraft culture, Cypress Champagne coolers are lightweight, well insulated and condensation resistant, and combine stylish beauty with functional utility. 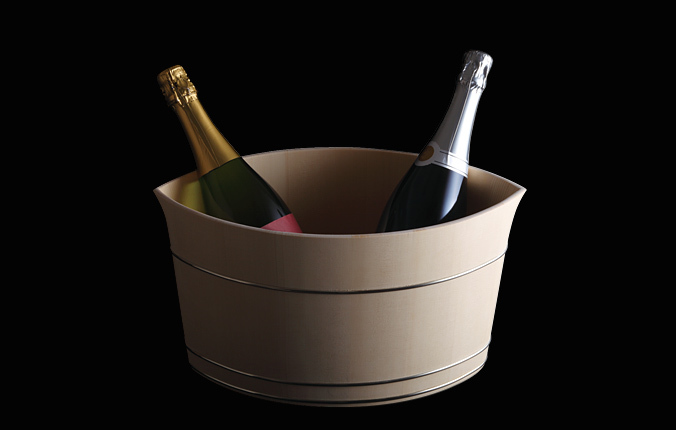 Although most Champagne cooler buckets are round, this master craftsman has created an oval bucket with outwardly flanged edges. This novel shape is extremely difficult to fabricate and the technique required extensive trial and error to develop and perfect. Third generation Kyoto woodcraft master Shuji Nakagawa harmonizes traditional bucket joinery techniques with a contemporary cultured design. 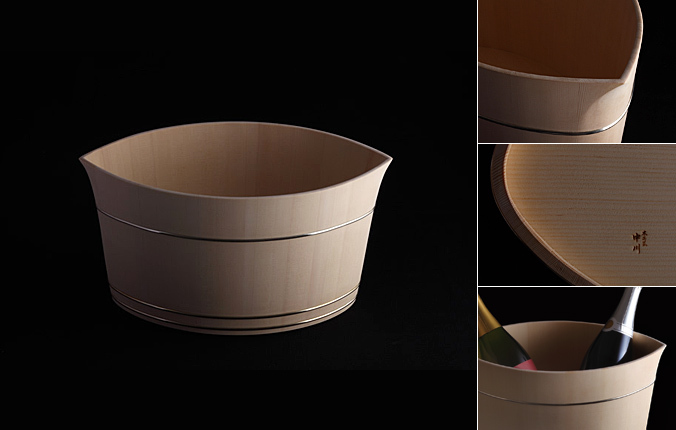 Besides supplying his fine craftworks to exclusive Japanese restaurants and ryokan (traditional inns), Nakagawa also creates modern wooden buckets for the Western table. One of Japan’s most imaginative craftsmen, Nakagawa is currently the only artisan developing boldly innovative works based upon Kyoto’s ancient woodcraft joinery skills. 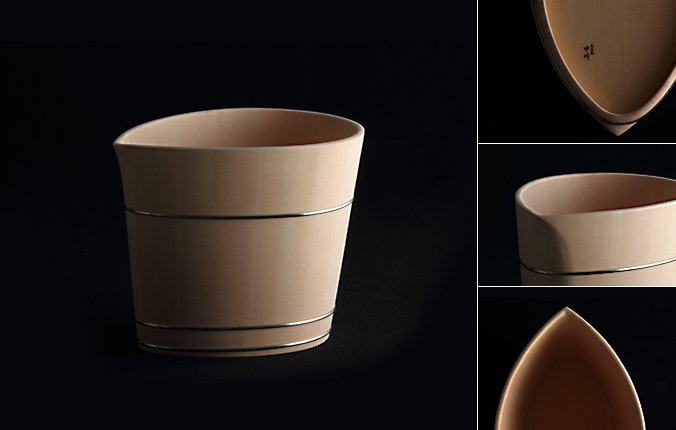 In recent years, the production of wooden buckets has declined dramatically in Japan. In Kyoto, however, the skill of the surviving craftsmen continues to develop as they have shifted their focus from tableware and tea ceremony flower vases to various premium quality specialty products. 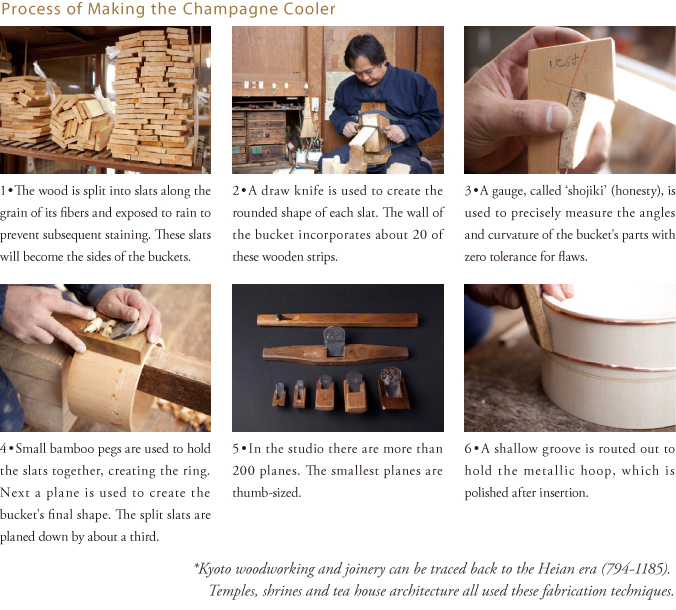 These champagne coolers are designed and created by Kyoto craft master Shuji Nakagawa, the third generation successor and proprietor of Nakagawa Woodcraft Studio. His father, Kiyotsugu Nakagawa, has been designated a Japanese Living National Treasure (Ningen Kokuho) for his renowned woodworking skills. Currently only three wooden bucket craft workshops remain in Kyoto. When Nakagawa Woodcraft Studio began two generations ago, there were about 250. 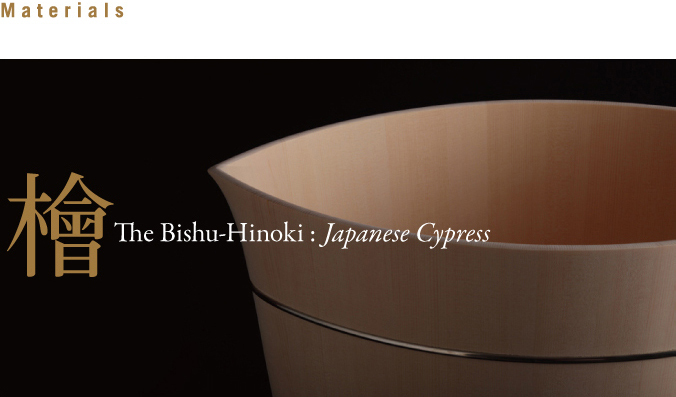 To create our Champagne coolers, we only use the highest quality wood from carefully selected Bishu Hinoki trees that are more than 200 years old. 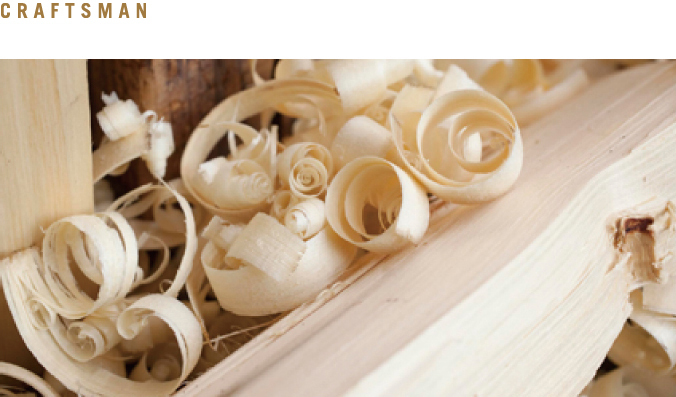 Its gentle colors, fine grain and sensual texture affirm the superior quality of our products. Hinoki boasts a refreshing forest fragrance which also makes it suitable for aromatherapy. This crafted bucket uses no metal nails. All joinery is performed with traditional woodworking techniques. After the tree has been felled and split, the wooden strips are left to rest for several years to several decades. Nakagawa then splits them into slats with a wedge and individually rounds the edges with a drawknife. 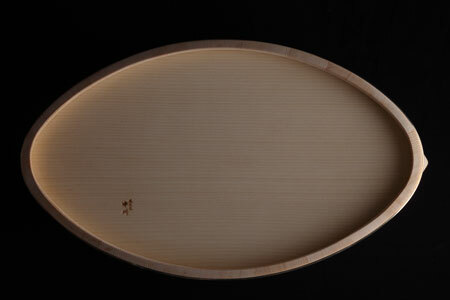 After assembling the slats into the form of a bucket, Nakagawa planes the surface until it is rounded and smooth. During the planing process, the craftsman is said to be so mentally focused that he sees each stroke from the perspective of the plane’s razor-sharp blade. This skill requires painstaking care and many years of practice. 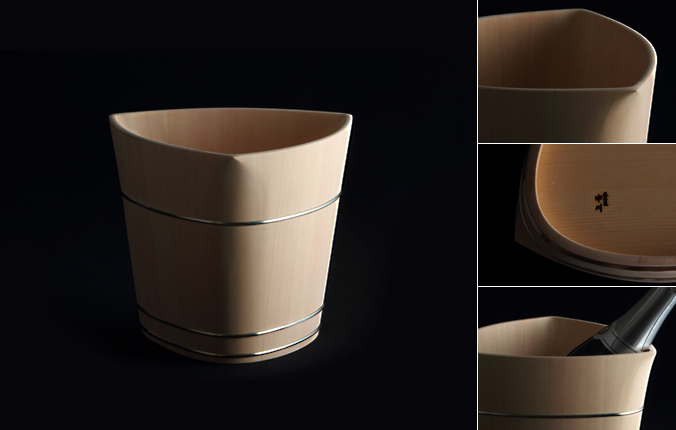 Handcrafted wooden buckets are comparatively more expensive than mass-produced products, however with care and maintenance these artfully fabricated treasures can last for generations. If any part of the bucket is damaged or deteriorates, just the affected strips of wood can be replaced. Wooden products made by Nakagawa Woodcraft Studio more than a century ago are still brought in for occasional repairs. In addition to the beauty and warmth of wood, well loved by Japanese over the centuries, this wine coolers incarnate the contemporary ethos of ecology in its spirit and design. ＊From the 4/20/2017 prices will change. Branding can be applied on “konoha” at an additional charge. Branding is a recommended option for commemorative items and gifts. It can also be used to create high-quality store furniture and original fixtures. Letters or a mark/logo of your choice will be branded with a laser marker. The size of letters or a mark/logo should be five centimeters or smaller. 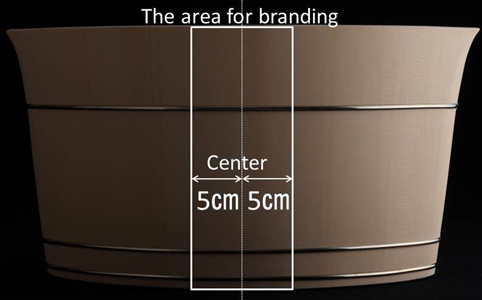 Branding is applicable inside the area shown below. Branding with a hot iron is also available for an order of five or more “konoha”s. In this case, branding is not limited inside the area shown above. Please contact us for details. Instructions: Do not use near open flame or heat source. After use, remove all water and dry thoroughly.If necessary, wash with a soft natural sponge.Never wash in a dish washing machine.Due to the natural characteristics of wood, each product varies slightly in color and texture. COPYRIGHT 2011 © LINK UP INC. ALL RIGHTS RESERVED.